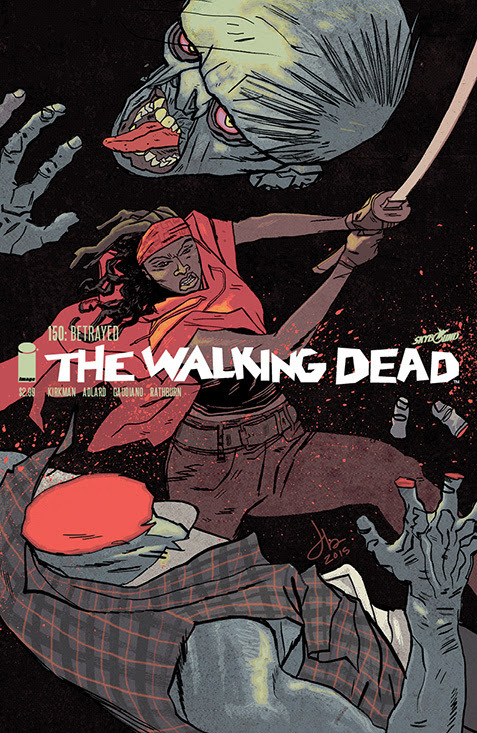 To commemorate the 150th issue of THE WALKING DEAD, Image/Skybound has enlisted the talents of veteran artists Jason Latour (SOUTHERN BASTARDS), Tony Moore (THE WALKING DEAD) and Ryan Ottley (INVINCIBLE) for three special variant covers in addition to the previously revealed Charlie Adlard cover and blank sketch variant. Additional credits for THE WALKING DEAD #150 include Stefano Gaudiano (inks), Cliff Rathburn (tones), and Rus Wooton (lettering). This special extra-sized anniversary issue will be available in stores on January 13th. “It's indisputable that reaching issue 150 is a huge achievement in comics. Charlie Adlard and Team Walking Dead have been working tirelessly for over a decade to get us to this milestone and now it's time to celebrate. It's an honor to have comic book pals Jason Latour and Ryan Ottley bringing their vision to these iconic characters. 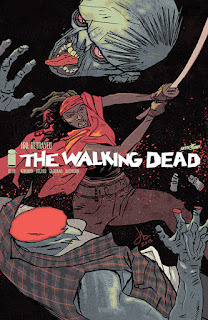 Additionally, words cannot describe how excited I am to have Tony Moore, artist of the first 6 issues, returning to provide a cover for this special event,” said THE WALKING DEAD creator Robert Kirkman.